Fishing companies offer to lift the ban on fish imports from certain countries, to provide the enterprise with raw materials for processing. According to industry representatives, the Russian market of fish raw material and not import substitution. More than two thirds of fish caught in our country is exported raw. They also add that such raw materials, like capelin ROE, cod, herring cannot be replaced by domestic counterparts. 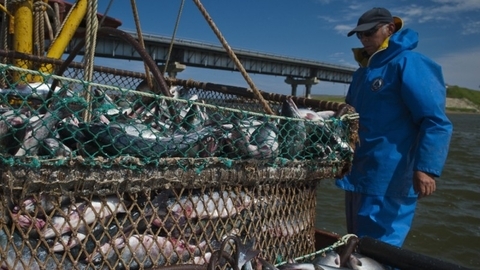 To solve this problem Fish Union proposes to partially cancel the food embargo and allow the Russian market to foreign suppliers of the raw fish. This will increase both production and exports of processed competitive products.